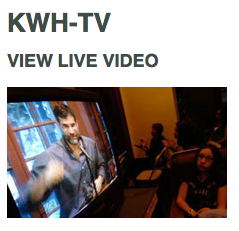 --click the link "view live video," and watch what's going on at KWH as if on TV. That's why we call it "KWH-TV." Our event schedule is always the top link on our home page: http://writing.upenn.edu/wh/ . Enjoy watching!